The PoE-2440 provides 24 10/100/1000Mbps ports that supports 802.3at/af-compliant PoE, with a total PoE power supply up to 260W. The switch is optimized for network efficiency, operational cost savings, and ease of management, powerful and flexible enough for users to deploy wireless access points or IP-based network surveillance cameras without cables or power lines running around. The switch can be deployed in different target network topologies, from small to large. 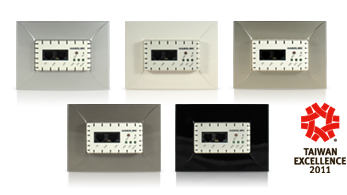 Its powerful software features provides a complete solution for both non-PoE and PoE options. performance, Access Control Lists (ACLs) restricts access to sensitive network resources, Storm Control and DHCP snooping provides a small or medium-sized business with a network that is geared for growth while ensuring performance stability and reliability. The PoE-2440 is also designed by the best green-saving technologies (IEEE 802.3az and Green-Ethernet). When network traffic is low, it would automatically decrease power usage. The PoE-2440 switch also can be integrated with Handlink’s Access Controller System for mass APs Installation and Management. The mapping function from ACS can help searching MAC address of Handlink’s APs automatically to reduce the working process of SI. The switch also can remote each ports of power switch to reset failure of Handlink APs to decrease internet connection problem. 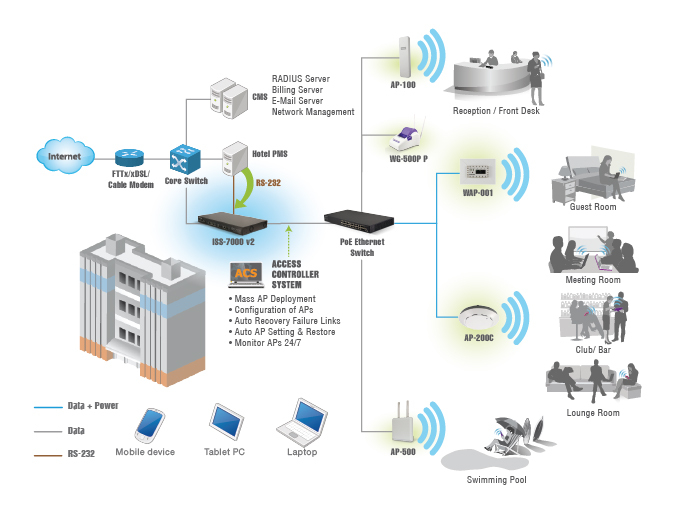 It is an efficient and cost-effective to complete Handlink Enterprise-Class Wi-Fi Solution. Supports L2 static routing to group different network segments and increase user flexibility. Helps you set simple routes for control of your network resources. Dynamic VLAN Assignment automatically assigns the same port to different VLANs to increase user convenience. Supports multiple security features, such as ACLs, storm control, 802.1X, port security, MAC filters, IP source guard, and AAA. supports 8 hardware queues, port-based QoS (IPv4/IPv6 DSCP), and DiffServ features to provide optimal real-time services. Auto Voice/Surveillance VLANs supports automatic voice and surveillance VLANs, providing VoIP and IP cameras the optimum network traffi c usage. Provide VLAN ID to secure guest Internet access! The PoE-2440 switch can be set up different VLAN ID for guests in different rooms and secure guests information from neighboring strangers’ interference.